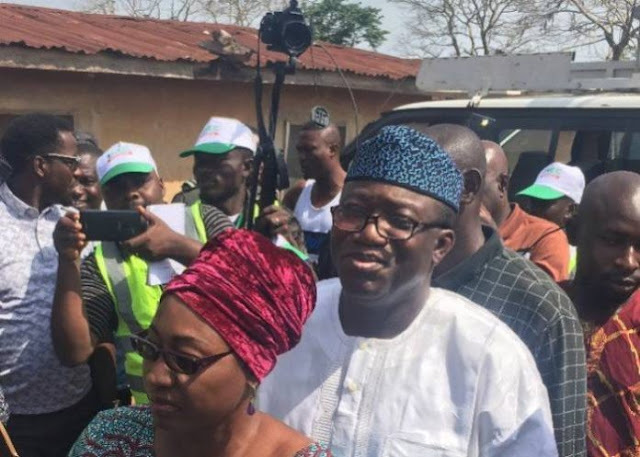 Dr Kayode Fayemi, The All Progressives Congress, (APC) candidate in the Ekiti governorship election, has won the governorship election according to the results declared by the Independent National Electoral Commission in majority of the 16 local councils in the state. Fayemi defeated current Deputy Governor of the state and candidate of the Peoples Democratic Party, Kolapo Olusola, and over 30 others in a keenly contested election. He was victorious in 11 out of the 16 local government areas of the state, polling 197,459 votes, and edging out his closest rival Olusola who got 178,121 votes by 19,338 votes. Eleka won in his local council of Ikere-Ekiti, Emure, Efon and Ado-Ekiti. Fayemi won in Ilejemeje, Irepodun/Ifelodun, which is the local council of the incumbent, Ayodele Fayose, Ido-Osi, Fayemi’s own local council. Based on the votes secured, INEC’s Chief Returning Officer for the election, Professor Idowu Olayinka, declared Fayemi the winner. Saturday’s election was highly anticipated as it pitted both the APC and Fayemi against one of their biggest critics and a key member of the opposition. Apart from reports now and then of card reader malfunction, one of the first issues to pop up was the allegations of cash inducements by observers and party agents. In the case of Olusola, the card reader failed to recognise his card when he tried to vote at his polling unit – Ofomofuru Hall, Ward 2, Okokuru in Ikere-Ekiti.